Staying true to its stance of being a Ka-Partner sa Pag-unlad to its shoppers, NCCC Supermarket will gather its Kanegosyo Premium members for a 3-day Shopping Extravaganza this September 15-17 at Kadayawan Hall, NCCC Mall Davao. The highly anticipated event will feature more than 75 booth exhibits including NCCC Supermarket’s affiliated business units for more than 12,000 members who are expected to join the 3-day festivities. Mindanao’s No. 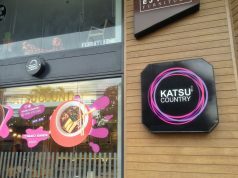 1 homegrown retail chain, New City Commercial Corporation and Rewards has always valued the business of its Kanegosyo Partners hence, the birth of the Loyalty Club and the yearly selling convention was established and offered members discounts, instant prizes and fun games exclusively for them. “Kanegosyo Premium Members will surely be surprised with the vast preparations that NCCC Supermarket and its business partners have made. Apart from the discounts, the premiums and freebies from promotions will delight the members,” Ester S. Lo, Associate Vice President for Merchandising gave a sneak peek to what shoppers can look forward to. “I have become a loyal member of NCCC Rewards Club since I started my Sari-sari Store Business. And every year, I look forward to the annual Kanegosyo Congress where we, entrepreneurs can get more savings on top of discounted items.”, said Jean Longakit, Kanegosyo Premium Card member. “It gives us more opportunities to earn more when we resell the products at standard retail prices.” added by Girobette Artajo, Top Kanegosyo Partner. NCCC Supermarket’s business partners also give their all-out support to the festivity as each one chose a country to dress up their exhibits. Exhibitors will have the chance to vie for various awards including the Best Booth, Patok na Patok Award, Most Bibo Merchandising, among others. 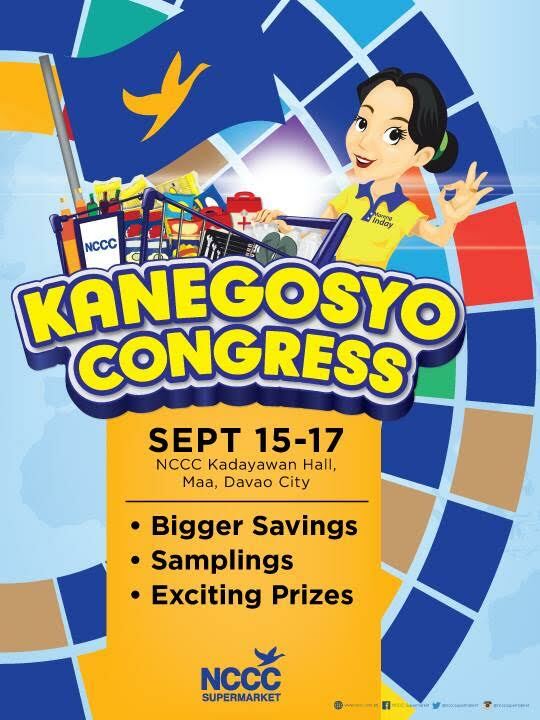 Kanegosyo Congress is open to more than 200,000 NCCC Rewards Club members and their card will serve as their gate pass for the event and access endless discounts, perks and other privileges.